We recently spent a month exploring Cambodia and discovered it’s a fascinating land of extreme contrast and wickedly authentic adventure, from the jaw dropping beauty of Angkor Wat through to the depths of despair of the Killing Fields and S21. But there were a few things we wish we knew before we arrived; little tidbits of information that would have made our life easier. If you're planning on visiting Cambodia in the future, we’ve put together a list of things you need to know before you visit; simple stuff that will make your life easier on arrival into this wonderful country. Cambodia's a pretty awesome country to visit. In many ways it's like Thailand was 20 years ago - tourism is growing rapidly, as is the country, yet it still retains that old skool southeast Asian charm, beautiful landscapes, friendly locals, and wonderful food. If you have time, we recommend visiting Phnom Penh, Siem Reap and Angkor Wat, the Islands, Chi Phat community based eco-tourism project, Battambang and Kampot. 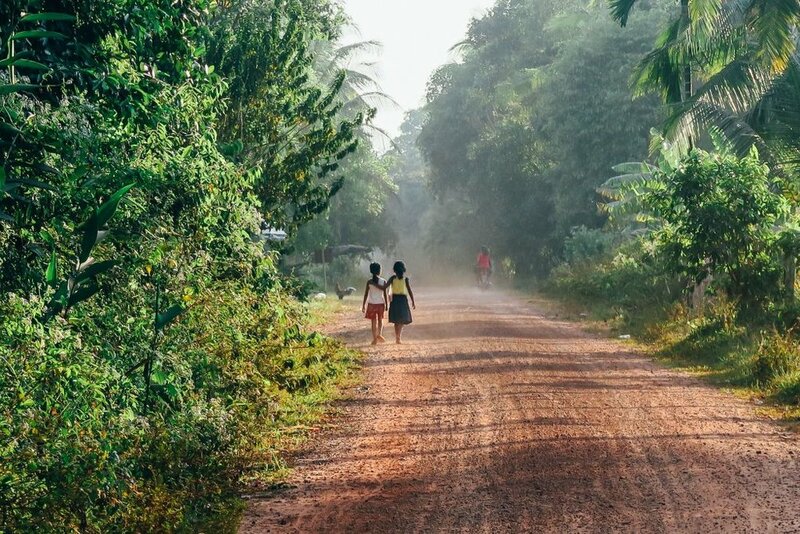 For such a vibrant and happy place, Cambodia has a dark recent history. Upon seizing power in 1975, the Khmer Rouge, under their revolutionary leader Pol Pot, began a murderous regime that lasted for four brutal years. If you want to understand present day Cambodia, read up on its past before you visit. It'll make your experiences, especially when visiting Tuol Sleng (S21) Genocide Museum and Choeung Ek genocidal centre. Cambodia's coastline and islands are astoundingly beautiful, and you can find one to suit whatever your vibe is - chill or party. We preferred to chill on Koh ta Kiev, but if you'd like a party hop across to Koh Rong, or hang out in Sihanoukville. We recommend visiting the Cambodian islands ASAP as many are being developed into large resort precincts by foreign investors (looking at you, China!). The temples of Angkor Wat are the prime motivation for most people to visit Cambodia. A wonder of the world, exploring the whole archeological park is an incredible experience - though prepare to battle crowds in their hundreds/thousands! It can also be a very expensive day out (for Cambodia), so be prepared to break the bank if you're on a budget. If you want the full low down of your visit to Angkor Wat, read our comprehensive guide. The easiest way to explore cities/towns in Cambodia is via tuk-tuk. They're generally inexpensive, especially when compared to taxi's, and are nimble enough to get you from A - B before you know it. If you're travelling regionally, be sure to use the bus network. It's widespread, with many operators available on the main routes, such as Phnom Penh - Sihanoukville. Obvious as it may seem, Cambodia gets really, really hot. Especially so during the peak season from November - March, so be prepared for some very warm days (and nights). Our tips: get up early and explore before the hottest part of the day, wear sunscreen all the time, wear relaxed, breathable clothing, and drink lots of fluids. As this is a religious site you really should be dressed appropriately, with your legs and shoulders covered (particularly for ladies!). Just be mindful that you’re in a foreign, more conservative country, and much of the access to temples is limited if you’re not dressed respectfully. We highly recommend visiting a community-based ecotourism project in the Cardamom Mountains called Chi Phat. It's hard to get to (but that's part of the fun, right? ), but once there it is like a nature lovers paradise. There are a heap of awesome activities you can enjoy including hiking, mountain biking and kayaking. We opted for hiking and this was our best experience in Cambodia. Spending two nights deep in the jungle, sleeping in hammocks and eating jungle curries, tracking animals and washing in rivers was our kinda jam! It's easy to obtain a visa on arrival at key border crossings; meaning if you arrive by plane or overland you’ll be fine. Remember the obvious stuff like having a valid passport (6 months +) and bring a passport sized photo. Tourist visas will cost you around $30USD (you will definitely need USD here) for 30 days. The reason we say around is there are many scams in which you may be forced to pay a ‘stamp fee’, a fee for a bus employee to collect all passengers passports together for processing in bulk, or for a ‘medical clearance’. They’re only a few USD here and there, but if you’re crossing into Cambodia via land, try not to pay these fees, even if they are ‘mandatory’. The best bet is to plan ahead and organise your visa prior to arrival, then you won't have to deal with these annoying scams. The Cambodian currency is Riel, yet you’ll probably pay in USD. It's weird, and kinda frustrating but it's important to know that we used USD almost exclusively throughout our time there. Because Cambodia doesn’t use American coins, you’ll get change for your purchases in riel (1,000 riel is 25 cents). This is fine, as you can then use your Riel when purchasing smaller items such as snacks for bus rides, or a Coca Cola for those sweltering days! It just gets a little annoying after a while! If you want to exchange money so that you have riel on hand, you can do so at any bank in Cambodia. You may get better rates at the local markets/black market, so shop around; you’ll be able to identify the moneychangers by their glass cases filled with piles of notes. If planning ahead isn’t your thing, don’t stress. We prefer to wing it too, and Cambodia suited us just fine. 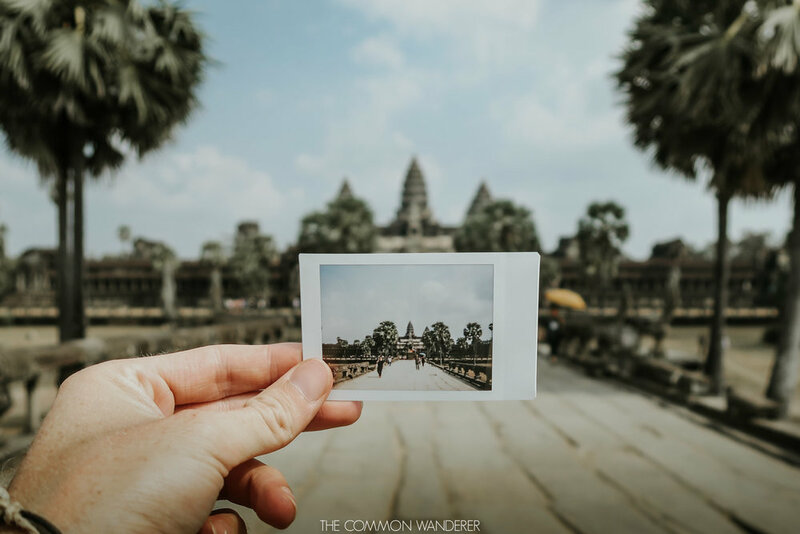 Although we recommend you read up on Cambodia and learn a few key phrases before you arrive as it’ll make life a lot easier. There are many bus companies which service the whole country, so this is the easiest way to get around. We organised most of our travel a day or two prior to our departure, though during the really busy periods, book at least two days ahead as some of the popular routes fill up quickly. The same goes for accommodation. Book accommodation at least two days in advance and you shouldn’t have any issues, however around holiday periods such as Christmas and New Years, give yourself a little bit more time. But don’t stress, we arrived on the day at a few places, and didn’t had to sleep on any streets (phew)! If you want to head to the Cambodian islands, things are a little different. While most of the time you can arrive and find somewhere on the fly, we recommend booking at least a week in advance. That way you'll stay at the place you want and won't run the risk of sleeping under the stars (although that does sound rather enticing). Cambodia has a pretty tragic, violent recent history, but the Cambodia we visited was only friendly. Everywhere we visited, be it rural or city, we were met with kind-hearted, happy people. That being said, it's important to keep your wits about you. This is still a developing nation, and crime exists. In the cities, we took tuk-tuks instead of walking at night, and were somewhat less adventurous than usual. If you're travelling alone, buddy up with some other backpackers, never walk home at night alone, and steer clear of drugs. It's also very important to get travel insurance before you visit Cambodia. We recommend using World Nomads. Poverty is still rife in Cambodian, despite the rapidly growing economy and rising middle class. It's not uncommon to see children begging or trying to sell you books, bracelets, or trinkets in many tourist hotspots. We urge anyone visiting Cambodia to not fall into the trap of buying from these children, as it fuels the cycle and encourages more families to send their children onto the street for a decent pay-day. Learn more about the issues, and solutions by visiting Think Child Safe. Unless you've been living under a rock, you would know Tripadvisor banned ticket sales to animal attractions. This is because of the barbaric and completely unacceptable treatment of animals used in animal tourism. Unfortunately, despite the ban and resulting publicity, many people still wish to ride an elephant and Angkor Wat, or elsewhere in Cambodia. This is a gentle reminder to anyone reading who's considering riding an elephant or visiting an animal park to re-think their plans. In fact, don't reconsider - just don't do it! Learn more about Elephant tourism in Asia. Educating yourself and others on this issue is important, and together we can make change in this archaic industry. Seriously, Cambodia is a seriously wonderful place to spend your holiday. There are cities and villages, rivers and beaches, farmland and forest, and all are populated by unfalteringly friendly, spirited and optimistic people just waiting to flash their beaming smiles at you. Travel for a month or more there and get off the beaten track; spend a little longer at the temples; live the island life for a week. We guarantee you won’t regret it. Do you have any other travel advice for Cambodia? If you, let us know in the comments below!